Wikimedia Commons has media related to 1442 . Year 1442 ( MCDXLII ) was a common year starting on Monday (link will display the full calendar) of the Julian calendar. March 18 – 25 – Battle of Hermannstadt: John Hunyadi defeats an army of the Ottoman Empire 80,000 strong, led by Mesid Bey of Vidin, near Sibiu in Transylvania. March 25 is the 84th day of the year in the Gregorian calendar. There are 281 days remaining until the end of the year. The Battle of Hermannstadt, also known as the Battle of Sibiu or the Battle of Szeben, was fought between the army of the Hungarian Kingdom and the Ottoman Empire on March 18 and March 22, 1442, near Marosszentimre and Hermannstadt (Szeben),. The Hungarian forces were commanded by John Hunyadi. Hermannstadt was Hunyadi's third victory over the Ottomans after the relief of Smederevo in 1437 and the defeat of Ishak Beg midway between Semendria and Belgrade in 1441. Rauma is a town and municipality of ca. 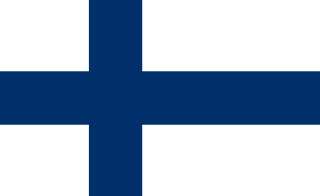 39,400 inhabitants on the west coast of Finland, 92 kilometres (57 mi) north of Turku, and 50 kilometres (31 mi) south of Pori. Granted town privileges on 17 April 1442, Rauma is known for its paper and maritime industry, high quality lace and the old wooden architecture of its centre, which is a UNESCO world heritage site. Ahmad Zarruq also known as Imam az-Zarruq was a Sunni, Ashari Muslim scholar and Sufi sheikh from Fes, Morocco. He is considered one of the most prominent and accomplished legal, theoretical, and spiritual scholars in Islamic history, and is thought by some to have been the renewer of his time (mujaddid). He was also the first to be given the honorific title "Regulator of the Scholars and Saints". His shrine is located in Tripoli, Libya, however unknown militants exhumed the grave and burnt half the mosque. Year 1493 (MCDXCIII) was a common year starting on Tuesday of the Julian calendar. Tamás Bakócz was a Hungarian archbishop, cardinal and statesman. Henry IV of Neuhaus, was a member of the Telč branch of the noble von Neuhaus family. He was High Treasurer of Bohemia from 1485 to 1503 Highest and 1503-1507 Burgrave of Prague Castle. Year 1420 (MCDXX) was a leap year starting on Monday of the Julian calendar. ↑ Green, Toby. A fistful of shells : West Africa from the rise of the slave trade to the age of revolution. Chicago. ISBN 9780226644578. OCLC 1051687994.